The Dutch police is divided in 25 regional police forces and one national police force (the KLPD). More information on the organizational structure and the several ranks can be found at Wikipedia. – "Er is een ongeluk gebeurd! Bel de politie!" – "De politie heeft een 38-jarige man gearresteerd op verdenking van moord." Note that "politie" is singular in Dutch ("heeft" is the singular conjugation of the verb "hebben"), opposed to plural in English ("have", not "has"). – "De politie is je beste kameraad." – "Laten we de weg even vragen aan die politieagent." Note that the word "even" is not really translated. Literally, it would translate to "briefly" or "shortly". 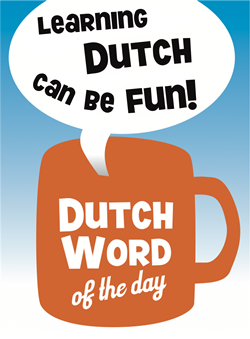 In Dutch it is used frequently though to indicate that a certain activity will not take long. In spoken language, "even" is often corrupted to "effe". – <de ene zakkenroller tegen de andere>: "Kijk jij effe of er politie in de buurt is…"
In times of polical campaigning, the following slogan can often be heard: "Meer blauw op straat! ", which literally translates to "More blue on the streets!" Since the Dutch police wear blue uniforms, this slogan obviously stands for the intention to have more police officers patrolling in the streets. flic is French slang for a policeman. Most of these I’ve never heard outside of the movies. Cop used to be derogatory and now it’s just casual.